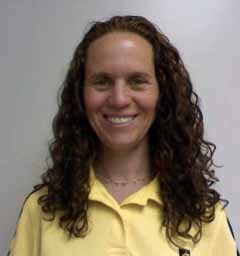 Jenny graduated from the University of Colorado in 2001 with a Master of Science in Physical Therapy. She worked in the Inpatient Physical Therapy Department at St. Joseph Hospital from 2003 to 2004. She opened Physical Therapy Plus in August, 2004, while working on her Doctor of Physical Therapy degree at Regis University, which she received in May, 2006. She has been a member of the American Physical Therapy Association since 1997, and has been a private practice section member since 2005. Since receiving her doctorate in Physical Therapy, Jenny remains very active in the physical therapy world, and has been selected as one of only six physical therapists in the state of Colorado to represent manual therapists in the Colorado Low Back Collaborative (CLBC), a study to examine the efficiency and effectiveness of manual therapy intervention to patients with lower back pain. She specializes in outpatient orthopedics, and treats temporomandibular joint dysfunction (TMD), neck and spine injuries, and sports injuries. She volunteers at the 9 Health Fair yearly -- "Body in Balance" includes screening for body position, balance, strength and flexibility in patients. In her free time, Jenny enjoys gardening, hiking, snowboarding, camping, cycling with friends and family. 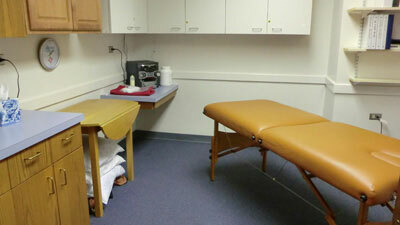 We also offer therapeutic/rehabilitative massage, which can help speed healing and increase range of motion dramatically. Please let us know if you're interested!